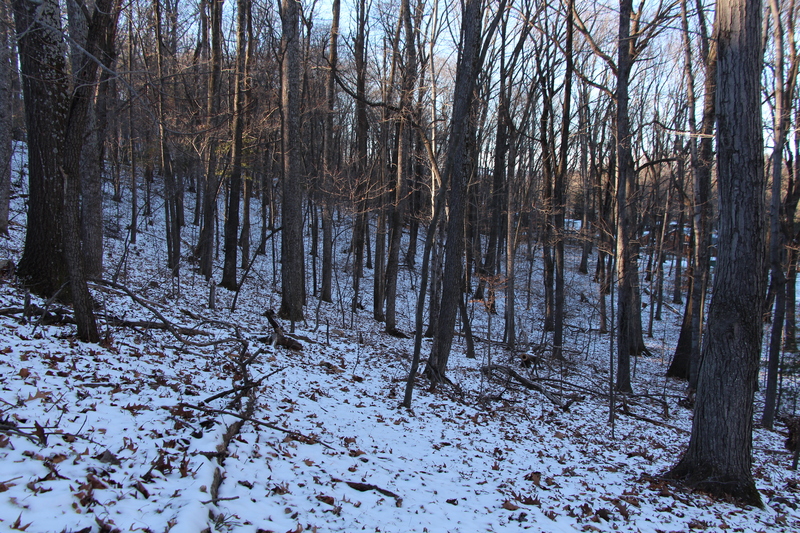 The snow blankets the forest floor behind my home. I can see its folds and rolls, its pitches and shallows. It is a white blanket spread out only for me and I know it. In the six months we’ve lived here, I have yet to walk through my backyard woods. Oh, I have admired that forest plenty; my dogwoods grow wild back there, my trees turning royal colors for me this fall. All this I have enjoyed from the comfort of my sturdy patio, where I can clearly feel where the ground is…and where it is not. But with the advent of this week’s snow, I can see now where to step in order to not twist an ankle. The leaves have been smashed down so far into the dirt floor, I don’t worry about stepping off my back patio’s ledge and tumbling into hidden briars or a slush pile of brush. Best of all, the snakes are sleeping and the bugs are dead (or burrowed deep), so I have no fear of making fast enemies with either of these. Listen, I’m no Pollyanna when it comes to outdoor exploration, but I do tend to stick to the trails. But for all my forest’s effort in welcoming me to enter in, I almost missed the opportunity. Instead I feigned busyness on the internet. Triple checking emails, facebook, even twitter (I have to be in serious avoidance mode to give twitter my time). I fiddled with chores, looked up poems about winter, copied some of them into a nature journal that I keep, and generally wasted my time (except the poems—finding, reading and copying poems is always a good use of my time). Morning turned to noontime turned to an afternoon nap until finally I realized the sun would set and my invitation to explore would expire, not to present itself again. 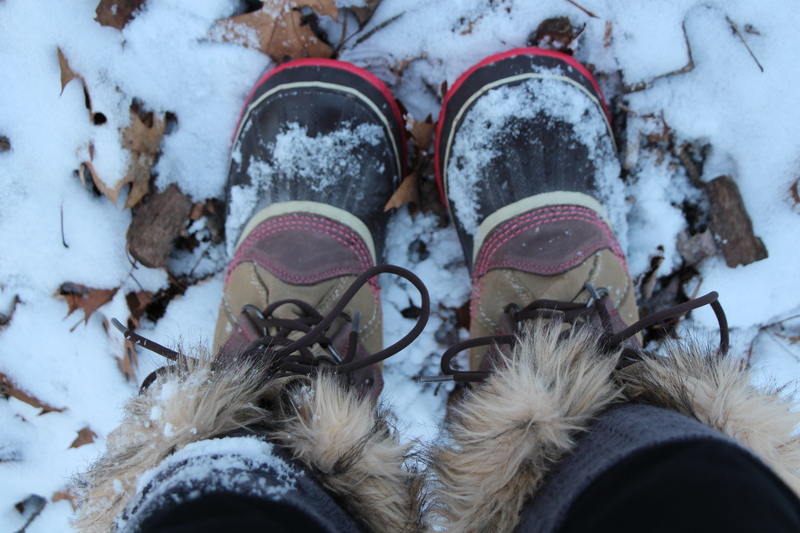 Finally, as if forcing myself toward some loathsome chore, I pulled on my winter boots, laced them tight and bundled my North Carolina-adapted body into the warmest gear I could find. 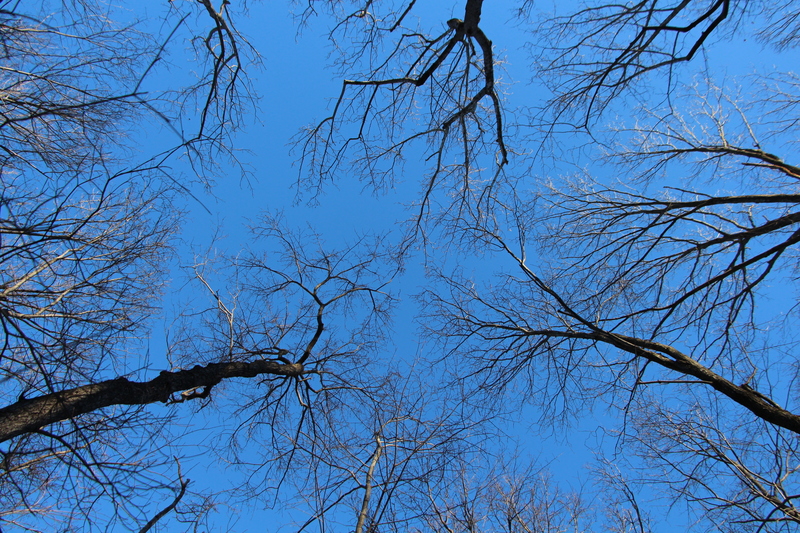 I grabbed my camera and stepped off my stable patio and onto the white-blanketed, steeply-sloped forest floor. 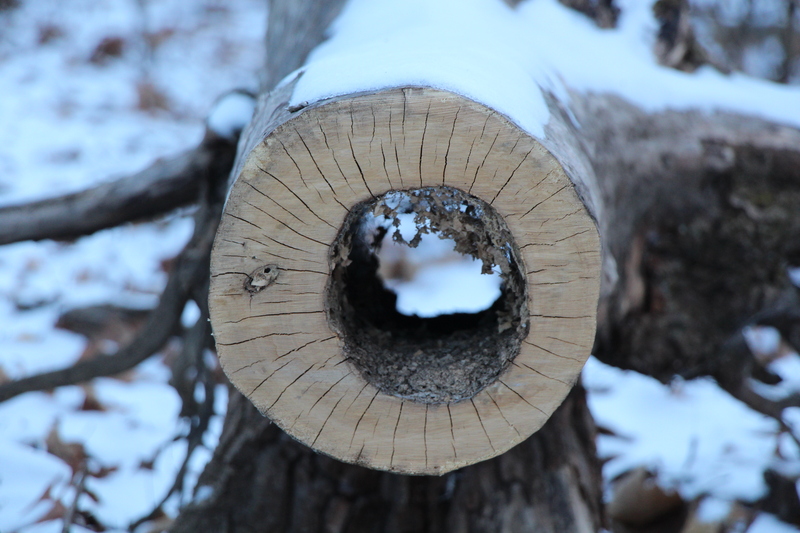 I spent maybe twenty minutes trudging through the woods, making heavy boot prints in the snow, snapping pictures of sleeping trees and hollowed logs. 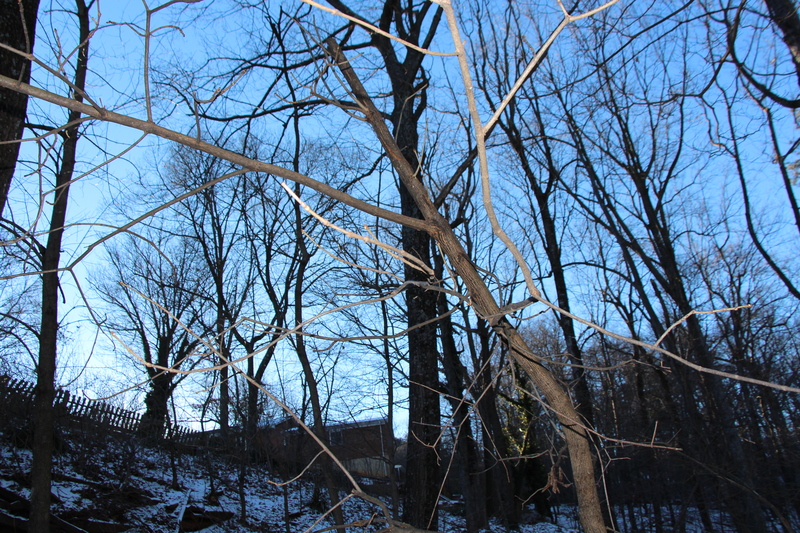 It was long enough for my fingers to feel icy, the sun to shift shadows, and my camera to capture the holiness of my backyard forest on a January late-afternoon. 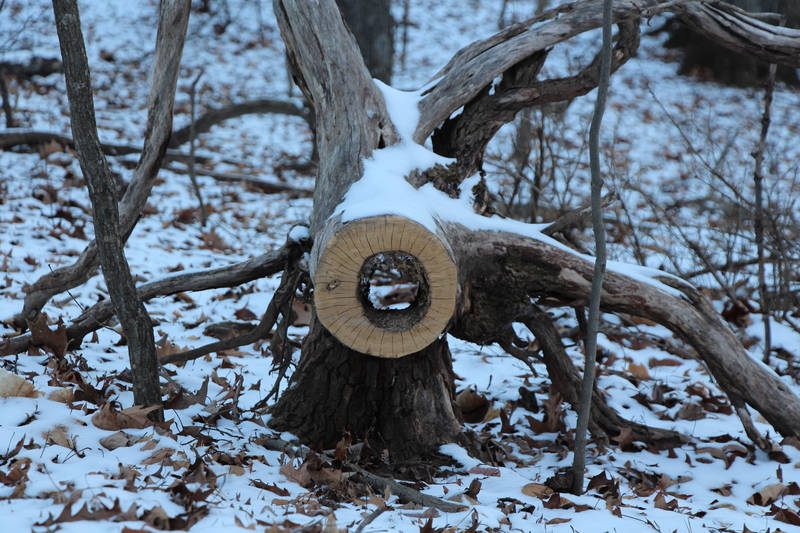 It’s a funny thing…resisting the invitation to explore my forest floor. Why would I do that? Was it inertia? It had been the third day “off” at our house—a federal holiday and two snow days later, and I was having a hard time focusing on anything for more than five minutes (except brain-draining social media). Was it that nagging habit of feeling like I should be doing something else—cleaning up dog hair, rotating laundry, editing the short story I didn’t finish editing over the weekend? Or was it the insecurity of stepping off my stable place of knowing and into the tilted plane of the unexplored unknown? Funny, I don’t usually consider myself one who shirks from new experiences—especially those as mild as walking around my backyard! It seems that with the new year dawning and so much of this place still feeling quite unknowable, I find myself shuffling safely on solid ground. Never venturing too close to the edges where there are new commitments, new experiences, new relationships; 2013 was filled with plenty of all these, and I’ve had quite enough for now, thank you very much. But if I had stayed on my patio I would missed the hollow log begging to be looked through, the trees branching out like nerve endings, my dogwoods reaching over to shelter me even in their nakedness. I’m beginning to realize that 2014 is going to be just as exciting and uncomfortable as 2013 was—a steady stream of invitations to live fully, even when that living takes me into tilted, insecure territories. But it is precisely in those places where the treasure lies. And since the invitations are addressed to me, then so must be the blessings. Guess I better keep my boots and camera handy. This “North Carolina-adapted body” would appreciate seeing some snow- so send it on down!! !